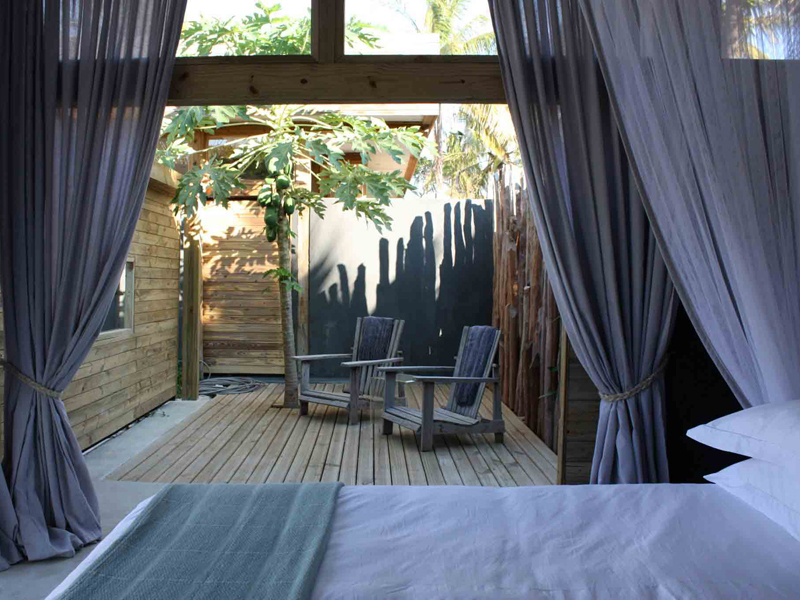 Set in cool green gardens overlooking untouched mangrove swamps and an Azure ocean offer dreamy escapes from reality. Tofinho beach is renowned for being the surf capital of Mozambique. The scuba diving in Tofo is truly world class with all year round sightings of the famous whale sharks! 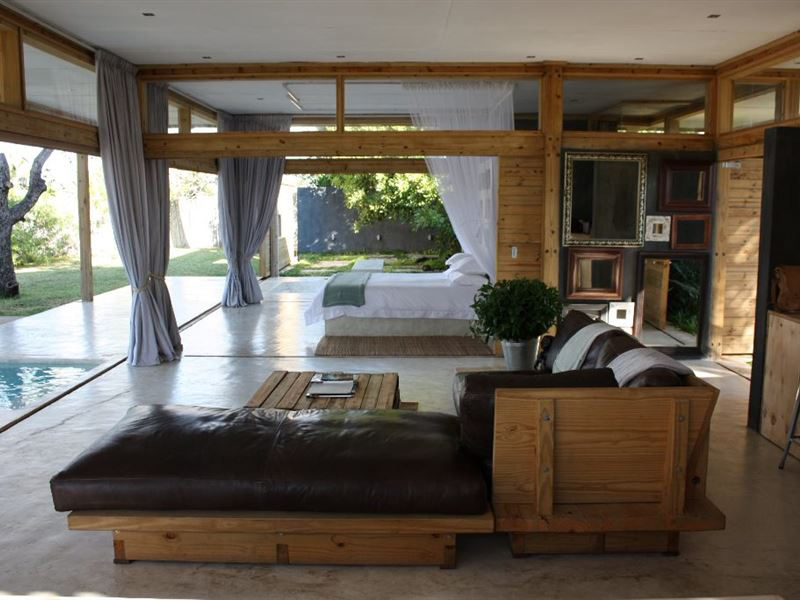 The Villas are designed in a “Rustic Chic” way allowing to blend perfectly into the surrounds. 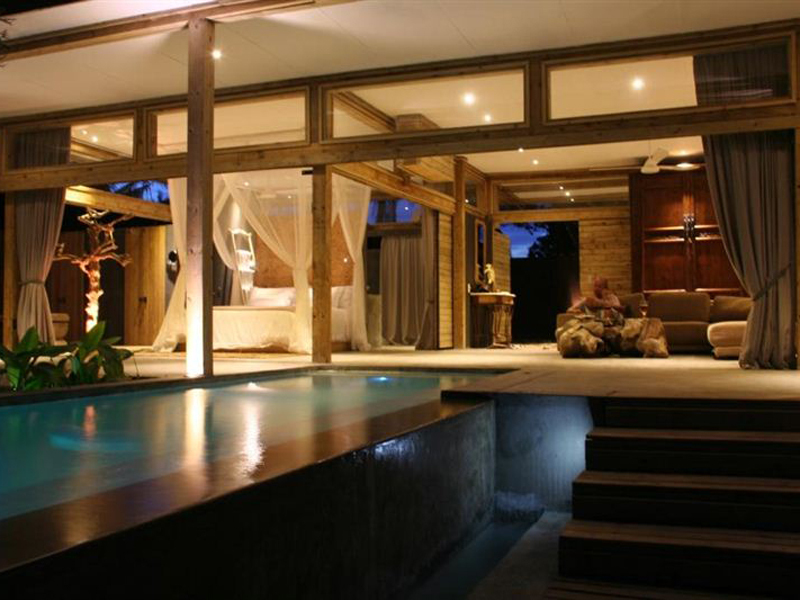 Infinity pools offer a great space to relax after a hot day at the beach next to the boma (bar) and lounging areas. 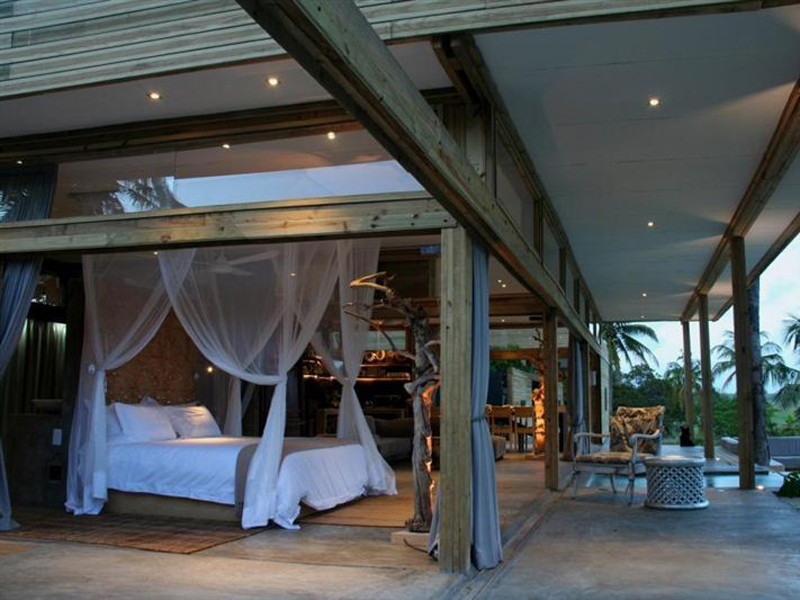 Easy vehicle access to Vanilla View beach house just outside Inhambane and Tofo on Mozambique’s east coast. 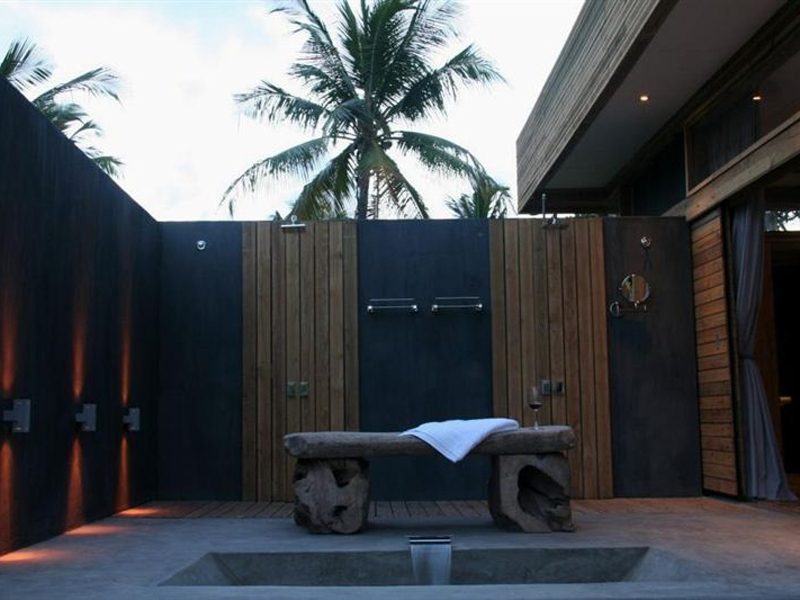 Discover luxurious self-catering accommodation with views of the Indian Ocean blending subtly into the natural surrounds. Untouched mangrove swamps and an azure ocean offer dreamy escapes from reality. 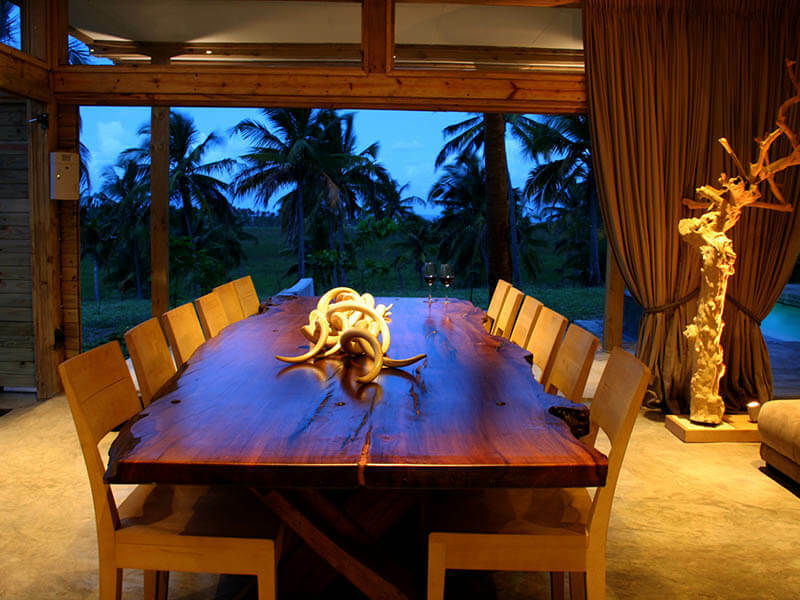 The good news is that breakfast is included in your unique Mozambique holiday at Vanilla View luxury beach house. 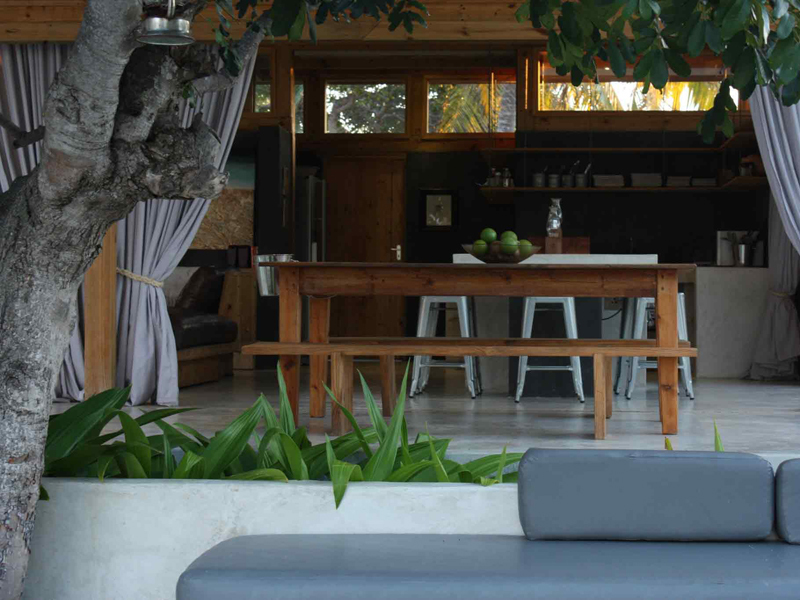 Or have fun using the slick, fully equipped kitchen with every luxury facility at your fingertips. 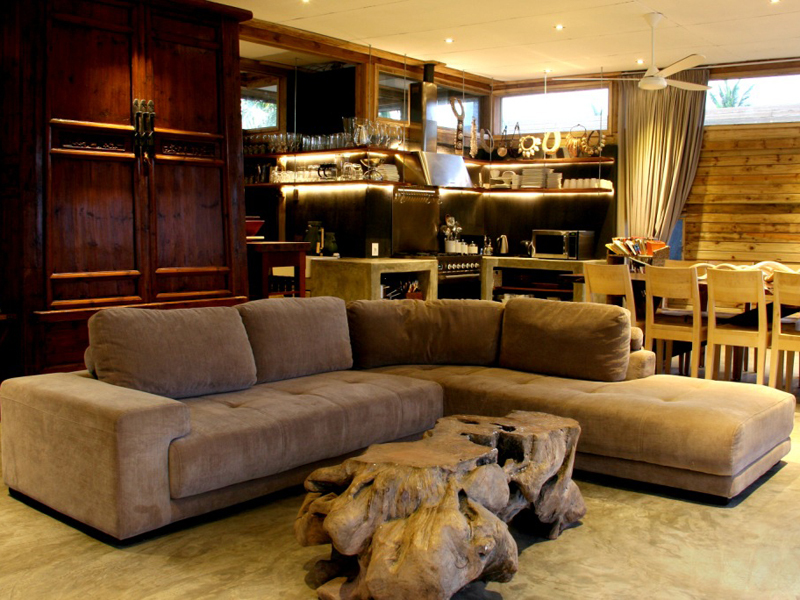 You can also head off into Tofo for an authentic Mozambique meal. 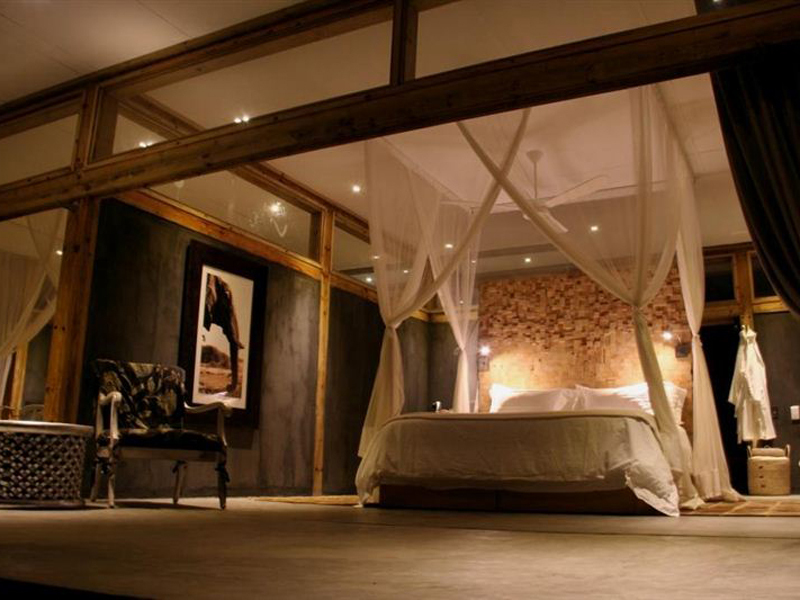 Lavish decor and furnishings include outside showers for all rooms, king size beds, mosquito nets and ceiling fans. 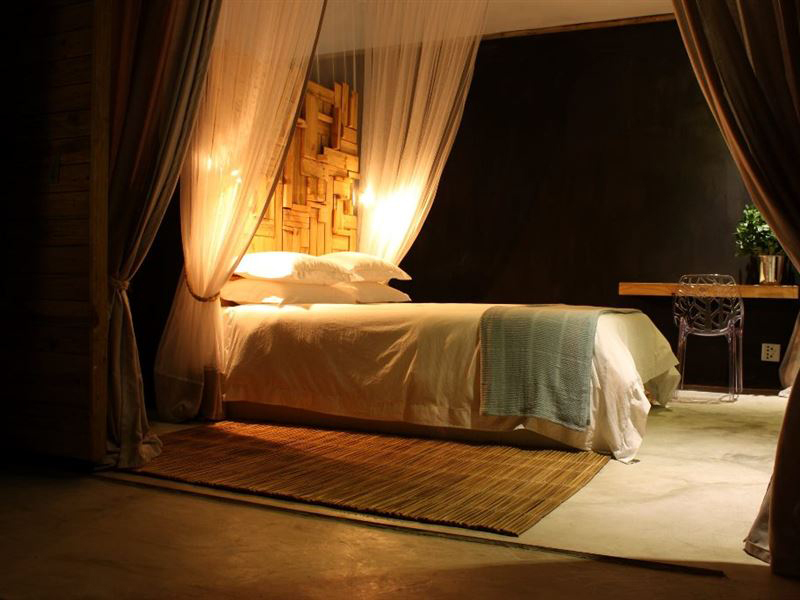 Book a Honeymoon package for one of the best Mozambique beach resorts and be entirely alone! 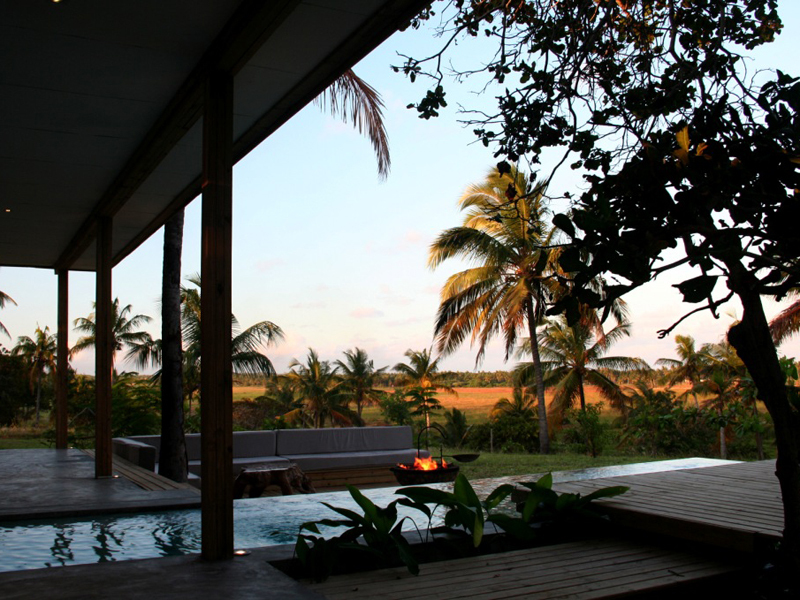 Jump into the infinity pool in the heat of the day or sip a beer in the boma while the sun paints the sky pink. 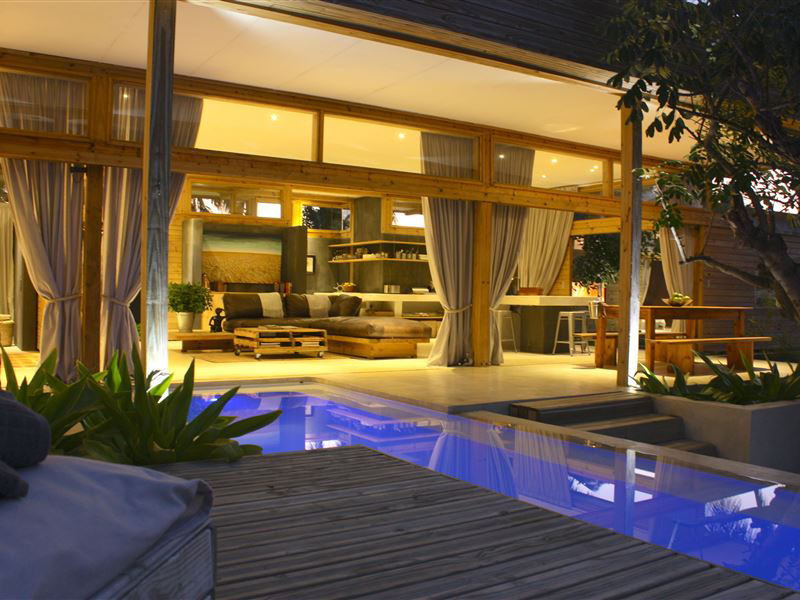 Great sea views from the villa.